Serious Offshore - In Search of Horsepower, Never Enough? In the performance boating world, the one thing that has remained constant every since the first Roman added extra rowers to his Galley, there is never enough horsepower. In today's world, there are several options to try for more horsepower, and several players who want to provide the ultimate horsepower option. There are also several questions begging to be answered. Like: What is more important, horsepower or torque? Many don't realize that the horsepower at the crankshaft of the engine is multiplied by the gear ratios of the drives or transmissions. So, an engine with 500 foot pounds of torque, passing the power through a 1.5 drive, has 750 foot pounds of torque at the prop. Because of that mechanical advantage, the boat can spin a larger prop. However, an engine with 750 foot pounds of torque, passing the power through a 1:1 drive, would have the exact same 750 foot pounds of torque at the prop. Therefore, everything else being equal, the engine making more torque would be in theory, 33% faster at the same engine RPM because it did not need the gear ratio assistance. In today's performance boating world, there has been very few, if any, people who look at the next high horsepower option more than Peter Hledin of Skater Powerboats. It seems as if Skater is always building the next generation performance catamaran to test the limits of the power currently available. 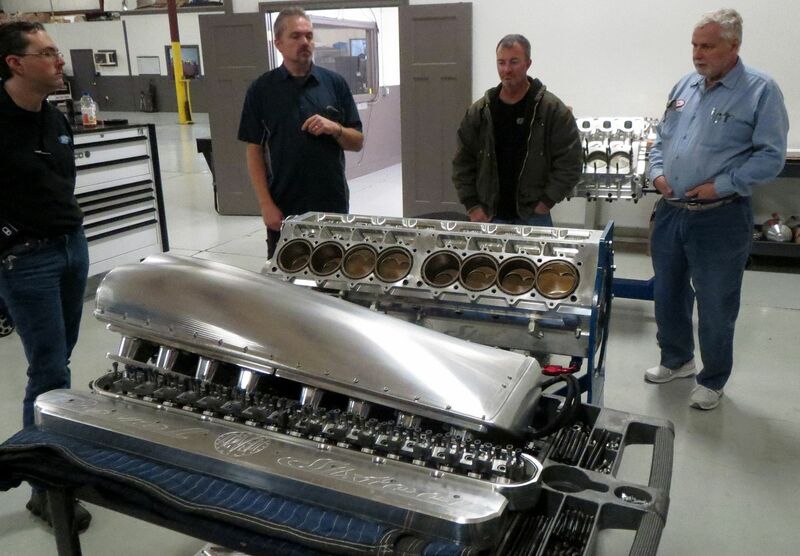 A little while back, we had the opportunity to go with Peter Hledin, Tyson Garvin, and Tony Cutsuries to visit Steve Morris Engines and see the latest high-horsepower engine Steve has designed and built for the Devel 16. The Devel 16 is a purpose built speed record car. Steve's goal, 5000 horsepower. Steve had the engine apart so he could explain the design very easily. Photo from earlier during dyno testing. There are certainly other big horsepower players out there. 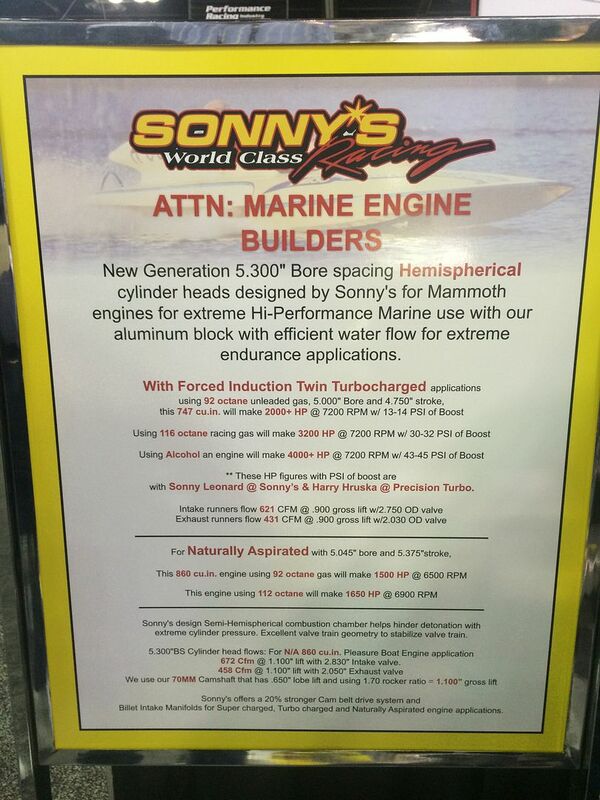 Mercury and Sonny's engines, photos below, are a couple available options. The Mercury, an upgrade to the 1350 which has become so popular in the mega-horsepower boating world, has still not caught on with the poker run addicts. Sonny's naturally aspirated, big inch engine, has barely seen the water. We wonder how long before someone throws power-adders to it? 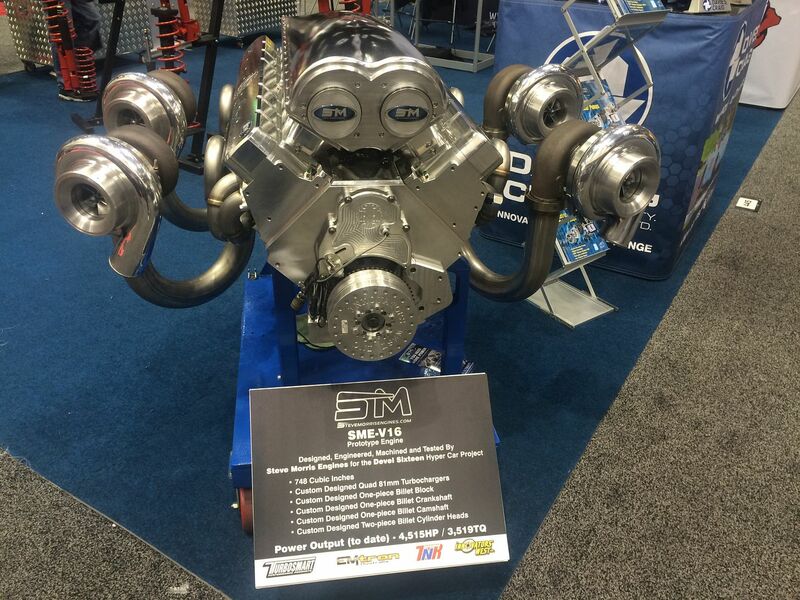 Goodwin Competitions mega-horsepower engine was the engine of choice at last year's Miami Boat Show. However, due to some unforeseen tuning and heat issues, the original eight are all back being modified at Goodwin. We all have our fingers crossed hoping for the best. Wagler Competition's venture into the mega-horsepower marine world may seem to be a bit light on horsepower. However, due to the diesel's enormous torque, the afore mentioned 1:1 gear ratios are able to put the exact same torque to the prop as the 2400 horsepower gas engine option. We cannot wait to see the results of this offering. Tyson Garvin, working with Wagler Competition, just may set the performance boating world in an entirely new direction. Double the mileage, similar weight and footprint, humongous torque to spin props with no reduction in ratio. And longevity in the thousands of hours versus the 100's. 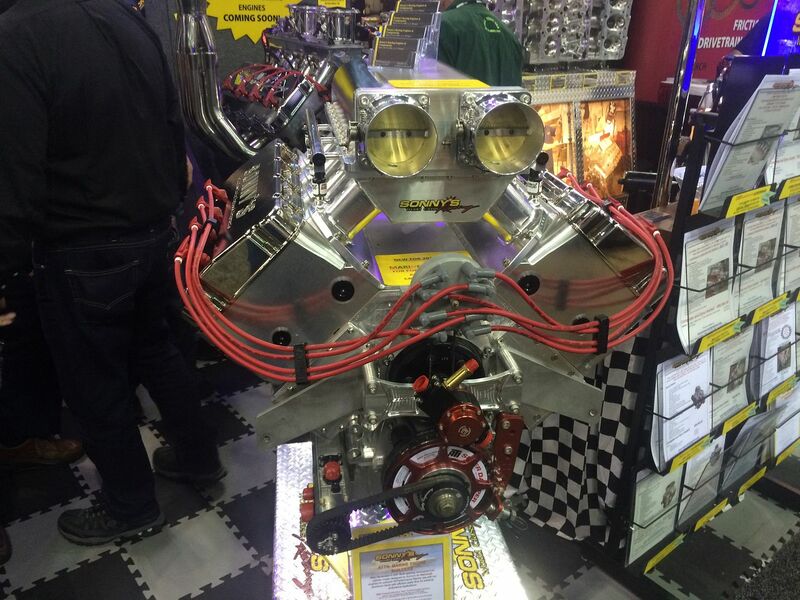 BoostPower USA's 2400 horsepower engine, currently running in a single engine boat, makes the most horsepower of any current automobile based block offering. Their reputation in the high-horsepower marine world is extremely good. This offer into the mega-horsepower world should be quite promising. Chief Performance's current peak offering is a 1900 horsepower beast. And of course Chief Performance is no newbie to building huge horsepower behemoths. And again, their reputation is extremely strong. Now, we get out of the automobile based base block offerings. Aardema Developments 1200 Cu/In is in the works to replace the old Allison engines used for so many years by the Unlimited Hydroplane teams. Their target is 3000 horsepower to compete with the T55 turbines being run by the majority of the current Unlimited teams. Another interesting story to watch unfold. With the high turbine RPM's, they add torque to the prop through gearbox reductions. 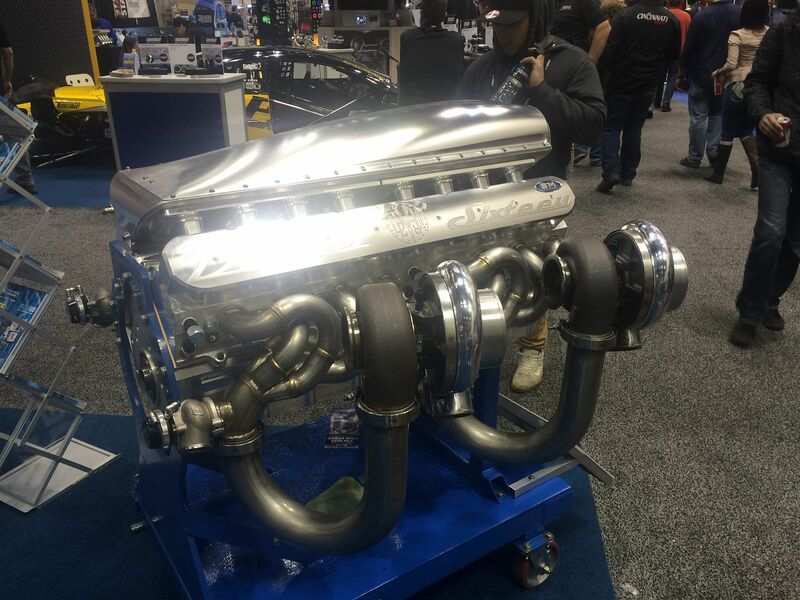 The current king at 4500 dyno horsepower? Who will order a couple of marine versions for their secret, upcoming, performance catamaran build? And what drive would hold up to 4500 horsepower and 3500 ft/lbs of torque? 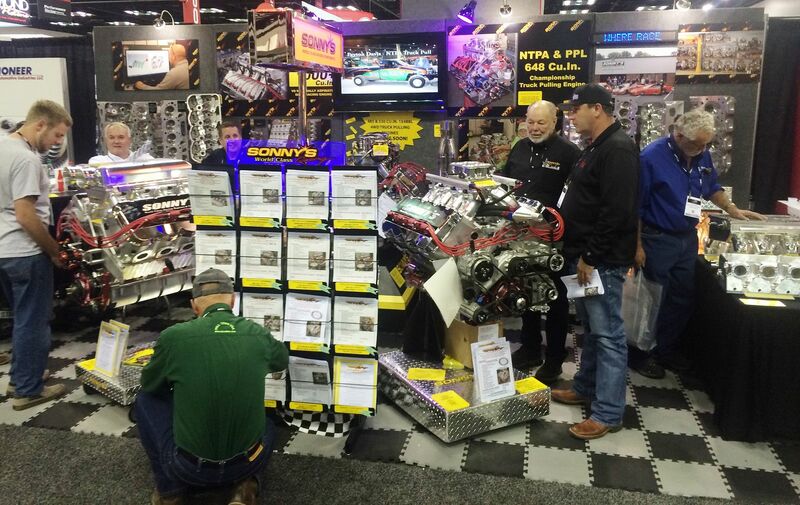 The engine is on display here at the PRI show. We spent a lot of time chatting with Sonny and his guys. 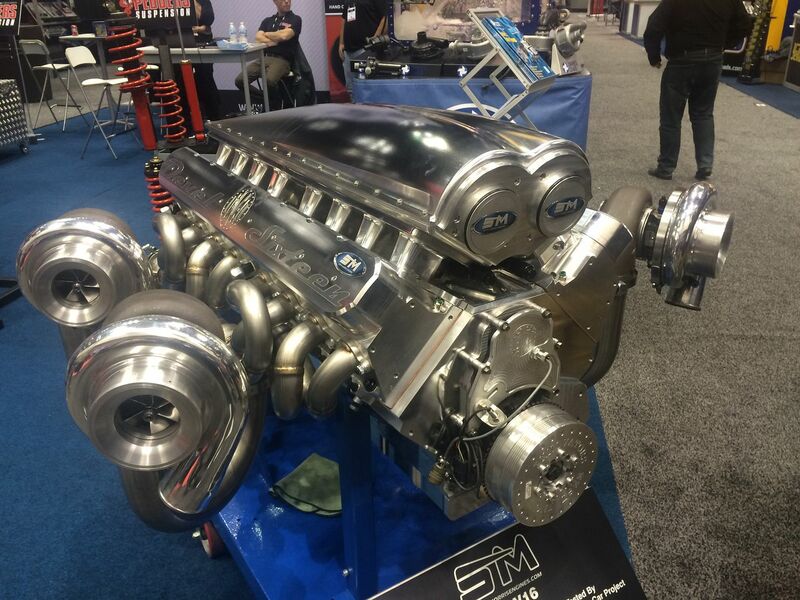 One heck of an impressive engine. Over 2000 HP on pump fuel is pretty awesome.